30 light years away‚ a race known simply as the One Point Fives are plotting a dangerous invasion plan‚ one that will wipe humankind off the face of the Earth... Meanwhile‚ in Sri Lanka‚ a young astronomy student‚ Ranjit Subramanian‚ becomes obsessed with a three−hundred−year−old theorem that promises to unlock the secrets of the universe. While Ranjit studies the problem‚ tensions grow between the nations of the world and a UN taskforce headed up by China‚ America and Russia code−named Silent Thunder begins bombing volatile regimes into submission. On the eve of the invasion of Earth a space elevator is completed‚ helped in part by Ranjit‚ which will herald a new type of Olympics to be held in Low−Earth Orbit. But when alien forces arrive Ranjit is forced to question his own actions‚ in a bid to save the lives of not just his own family but of all of humankind. 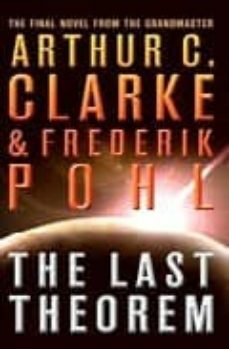 Co−written with fellow grand master Frederik Pohl‚ THE LAST THEOREMonly provides a fitting end to the career one of the most famous names in science fiction but also sets a new benchmark in contemporary prescient science fiction. It tackles with ease epic themes as diverse as third world poverty‚ the atrocities of modern warfare in a post−nuclear age‚ space elevators‚ pure mathematics and mankind′s first contact with extra−terrestrials.